Quick reading, will see if predictions comes true. All Sessions with Madam Christine are positive and empowering. 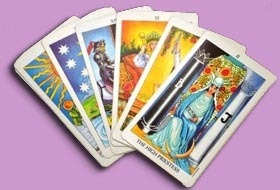 Your psychic reading depends on your needs at the time. You can ask specific questions about any part of your life such as relationships, love career. I was gifted as a child with my psychic abilities. I have been doing psychic readings professionally for 3 decades. I'm empathic, caring and understanding to people's needs. I can reveal your past as it was, the present as it is and your future to come. Christine can help you discover solutions to the problems that are affecting the quality of your life. Do you wonder where you are on the Spiritual Path, and which Paths to take? Would you like to discover your hidden strengths and how your own fears manifest as obstacles in your life? Let Madam Christine help guide you as you travel the road of life, with joy and serenity as your destination. All Sessions with Madam Christine are positive and empowering. Your psychic reading depends on your needs at the time. You can ask specific questions about any part of your life such as relationships, career, home, or spiritual path. The more in-depth your questions are, the more detailed the answers will be. If you do not have specific questions, Madam Christine will talk about what is coming up in your life over the next few months. You may ask questions as far into the future as you wish. Together, You and Madam Christine will discuss many areas of your life and you may interrupt at any time with questions about anything. 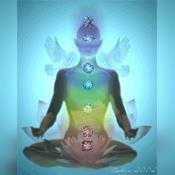 Through her psychic readings, you can find your true identity, know who you really are and how others perceive you. This will enhance the quality of your life, open the realms to your future and give you a clearer direction in finding true love, soul-mate, compatibility, direction and clarity concerning your career and decisions. I would really appreciate it if you would leave me a rating at the end of our call. Disclaimer: I will not assume the role of a professional such as a attorney, or financial advisor. P.S. I CAN'T TELL YOU WHAT YOU WANT TO HEAR. JUST THE TRUTH! Feedback is also appreciated, so that I know how I am doing! LOVE PSYCHIC 100% GIFTED has been a user of Keen since 2001. Getting Love & Relationships advice from LOVE PSYCHIC 100% GIFTED through www.keen.com is safe, secure and confidential.